Dermal filler treatment is a popular choice for many as a anti-ageing treatment and for cosmetic enhancements. Dermal filler treatment can help improve the appearance of a number of different skin conditions. Dermal filler treatment can help to reduce the visibility of wrinkles and improve the appearance of sunken cheeks. It can also be used for cosmetic benefits such as, to increase the fullness of lips, Acne scars, and dark or puffy under-eyes. What are the different uses of dermal fillers treatment? Dermal filler treatment can work to improve a number of skin conditions including the appearance of lines and wrinkles, sunken cheeks, forehead lines, acne scars and its uses extend as far as treatment for scar improvement. Dermal fillers for reshaping the tip of the nose are popular as is using dermal fillers for lip enhancements. What are the benefits of dermal fillers treatment? Dermal fillers can be used for many different reasons including anti-ageing and cosmetic enhancements. Dermal fillers are non-permanent and results will fade over time; this makes the treatment very safe allowing the treatment to be adjusted as you age. Dermal fillers treatment is tailored to you and is carried out to achieve the results you want. Dermal fillers can last on average between 6 and 18 months depending on the type of dermal fillers used. Some newer fillers can last as long as 4 years. After this time it is likely you will need further treatment to keep the desired results. How can dermal fillers treatment work for me? As everyone is different and there are a number of different reasons for using dermal fillers, it is advised to speak to a qualified practitioner to discuss the possible results of using dermal fillers. Dermal filler treatments are performed by dermatologist, Doctor Maria Gonzalez. 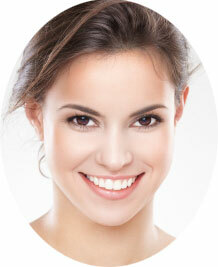 In the initial consultation we will create a treatment plan to achieve the best results. Exact prices, the type of Dermal Filler and the number of vials to be confirmed during your medical consultation for Dermal Filler treatment .